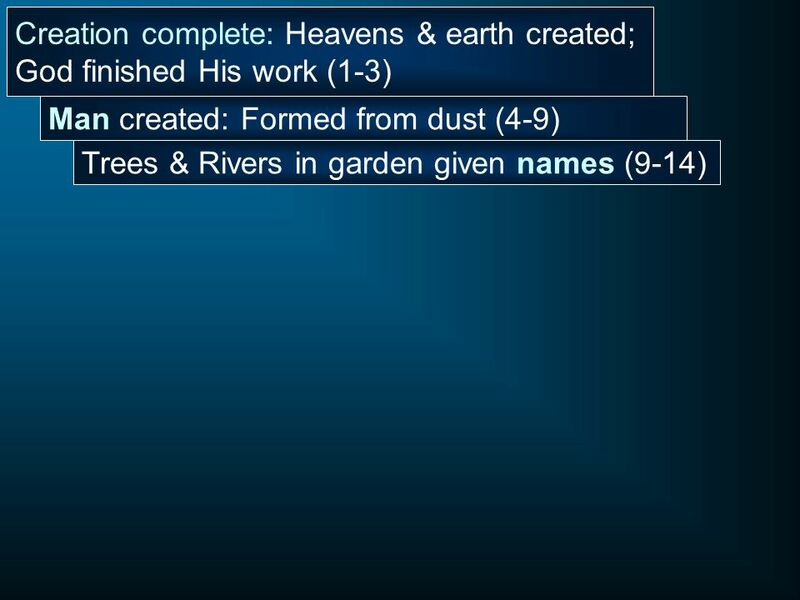 6 Genesis 1:1 In the beginning God created the heavens and the earth. 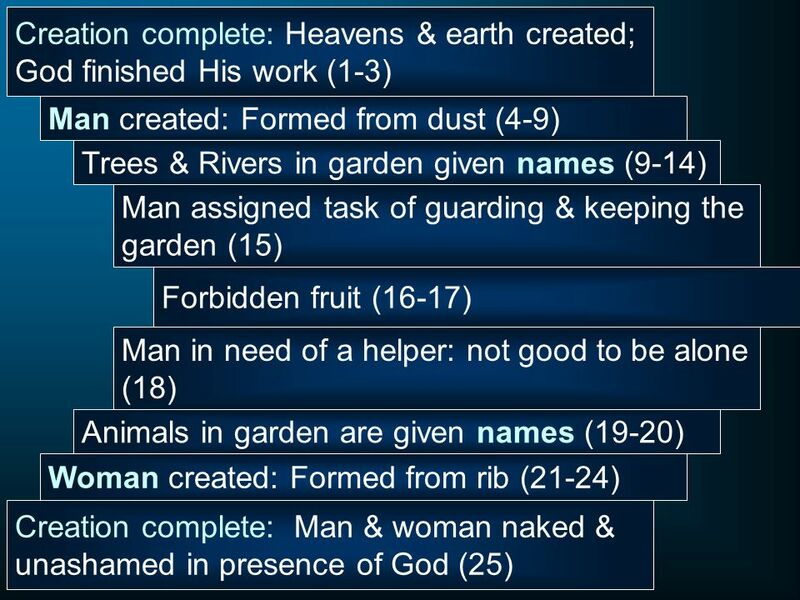 The “who” of creation. 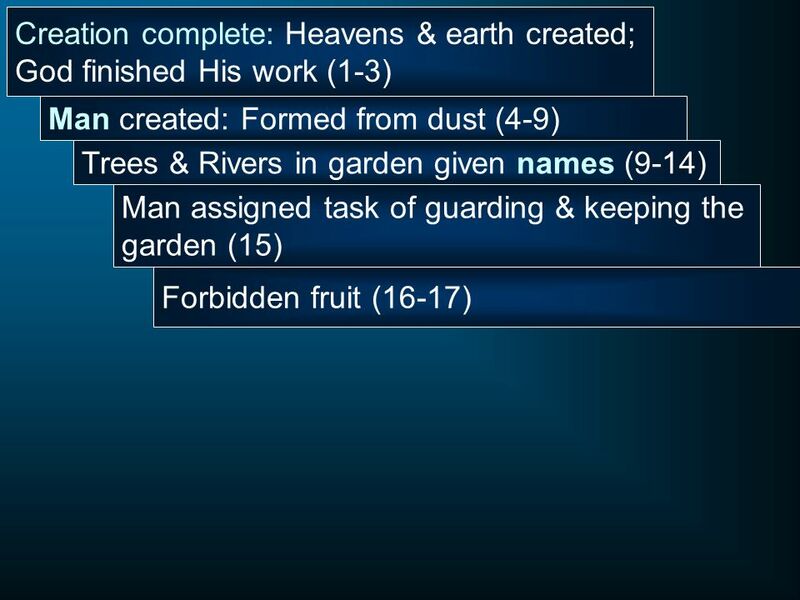 The work of creation. 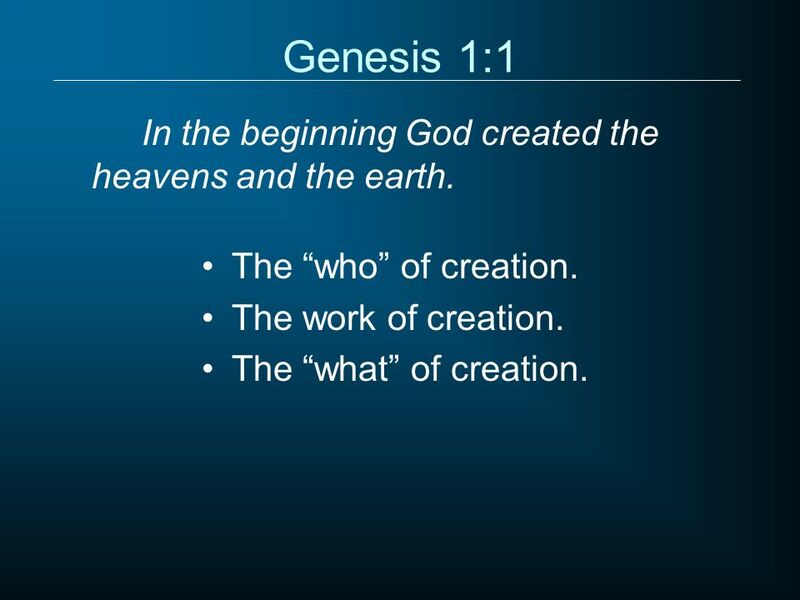 The “what” of creation. 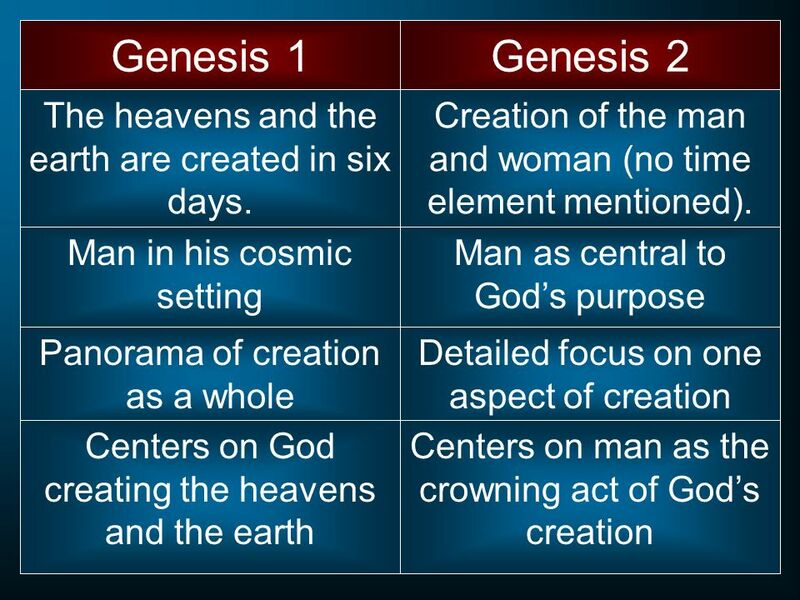 7 Genesis 1:1-2 In the beginning God created the heavens and the earth. 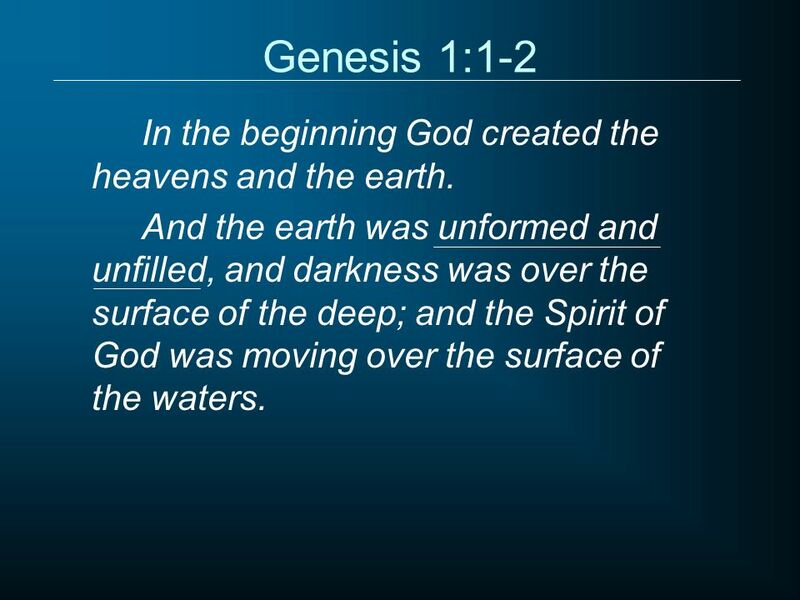 And the earth was unformed and unfilled, and darkness was over the surface of the deep; and the Spirit of God was moving over the surface of the waters. 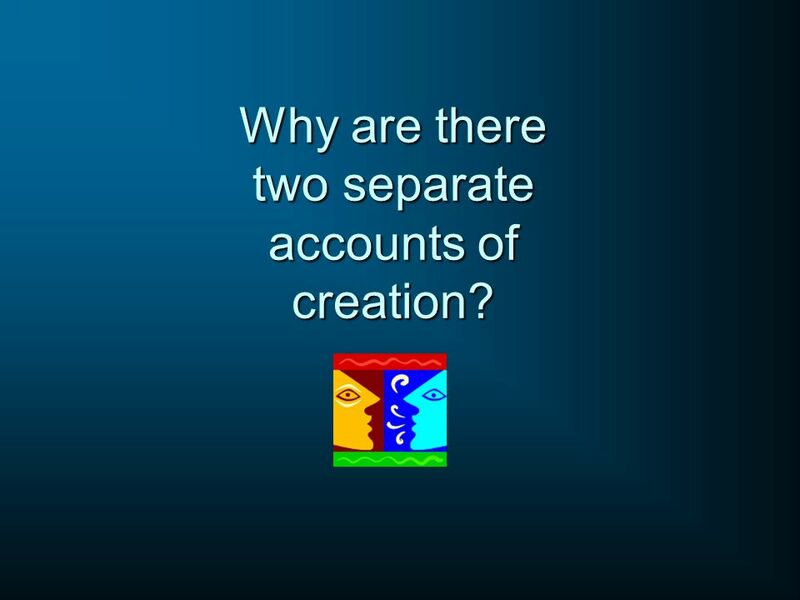 9 Why are there two separate accounts of creation? 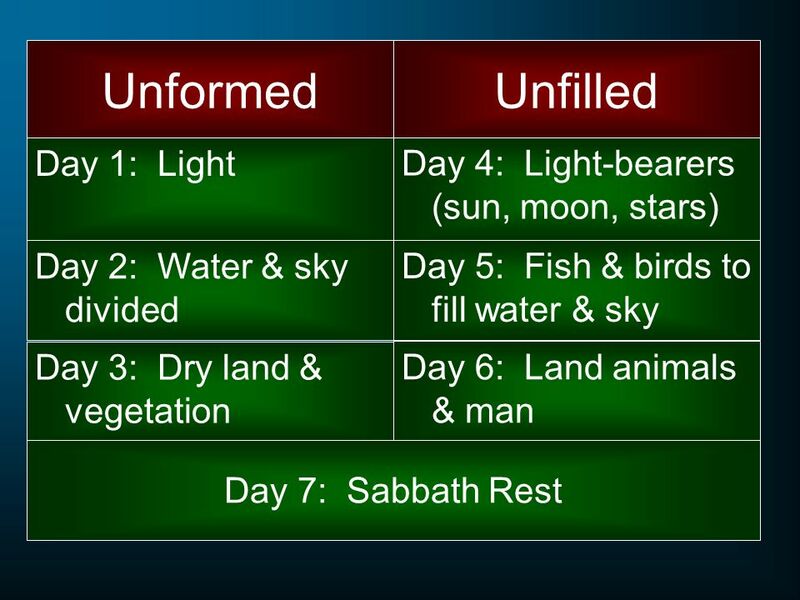 10 The heavens and the earth are created in six days. 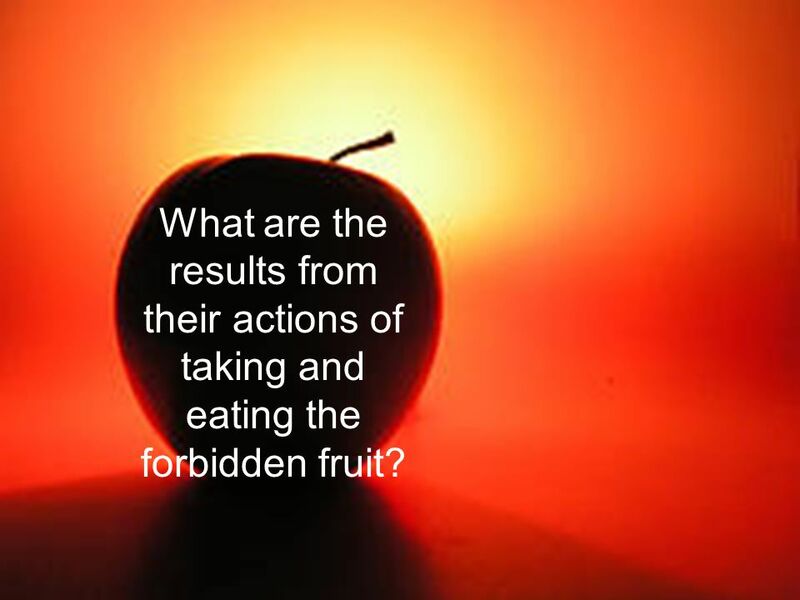 17 What are the results from their actions of taking and eating the forbidden fruit? 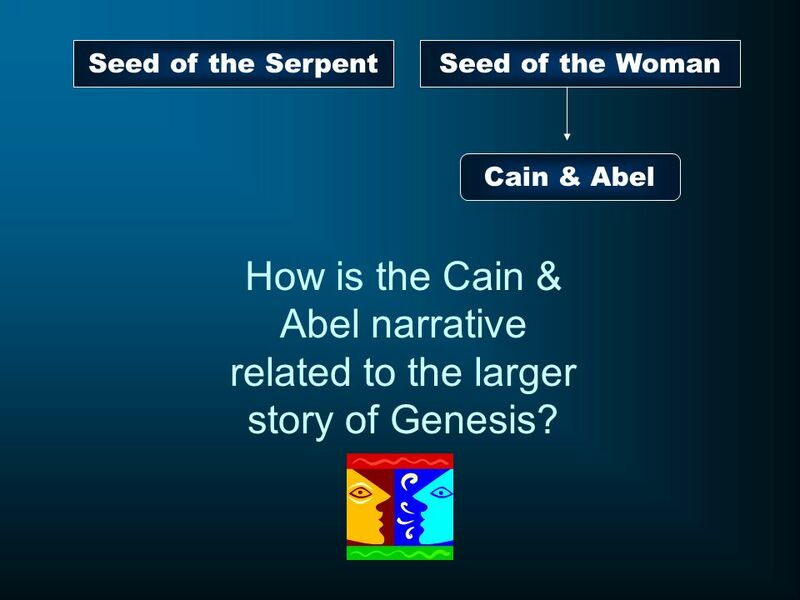 19 Seed of the Serpent Seed of the Woman Cain & Abel How is the Cain & Abel narrative related to the larger story of Genesis? 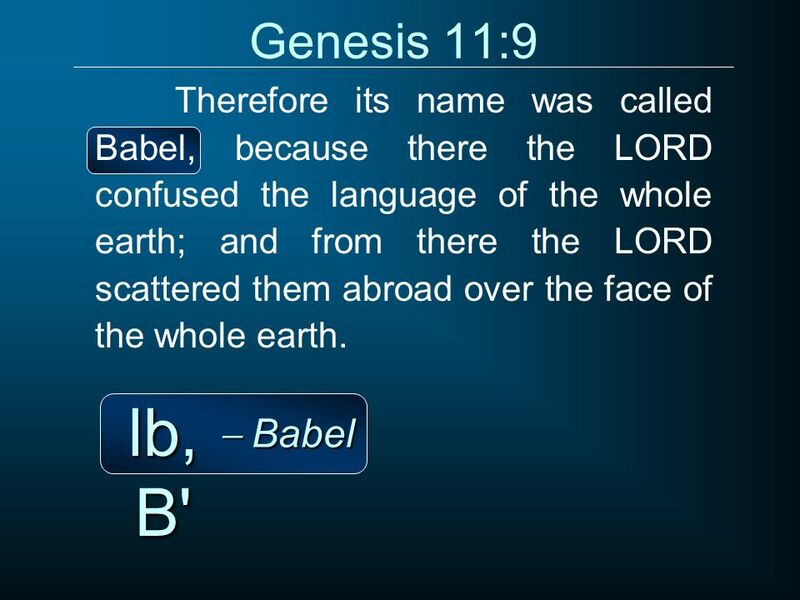 23 Genesis 11:1-2 Now the whole earth used the same language and the same words. 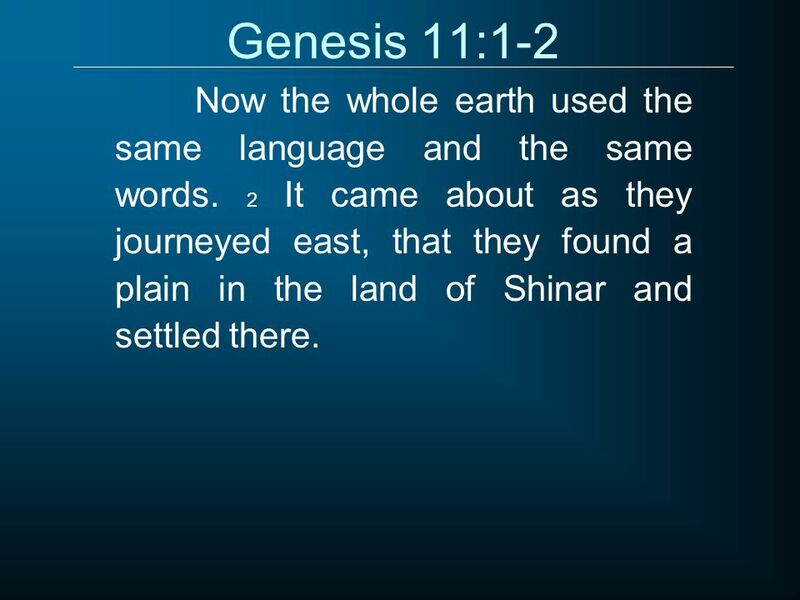 2 It came about as they journeyed east, that they found a plain in the land of Shinar and settled there. 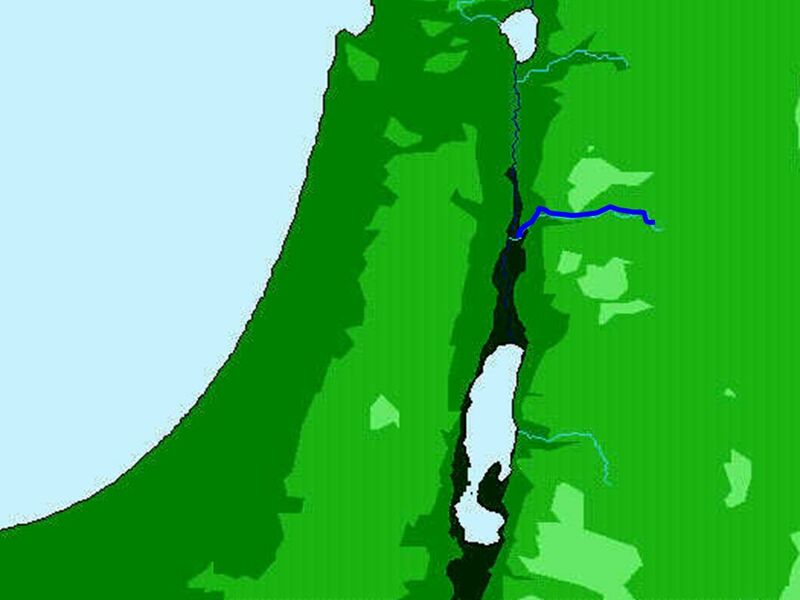 30 Genesis 11:29-30 And Abram and Nahor took wives for themselves. 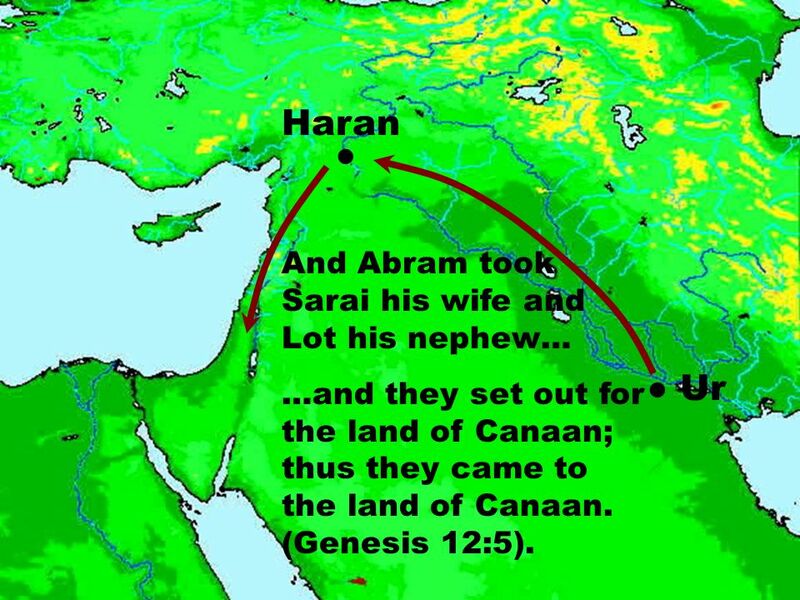 The name of Abram's wife was Sarai; and the name of Nahor's wife was Milcah, the daughter of Haran, the father of Milcah and Iscah. 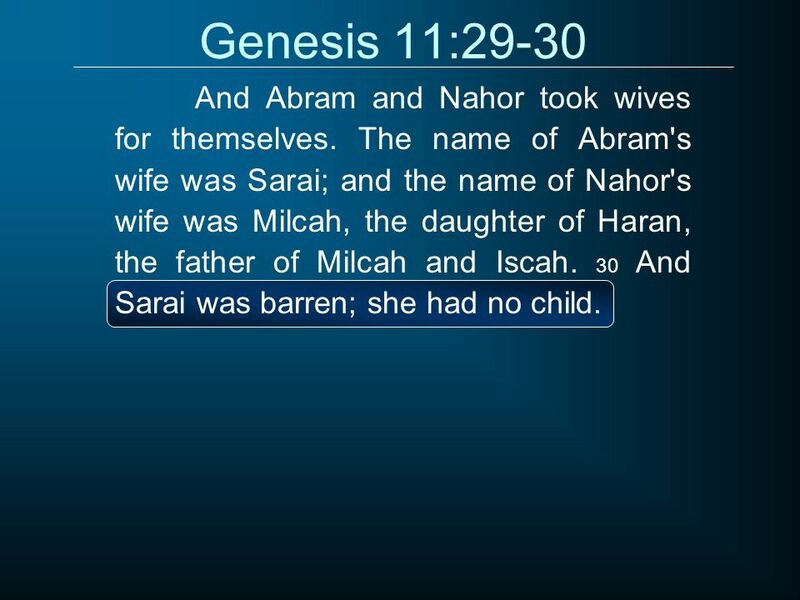 30 And Sarai was barren; she had no child. 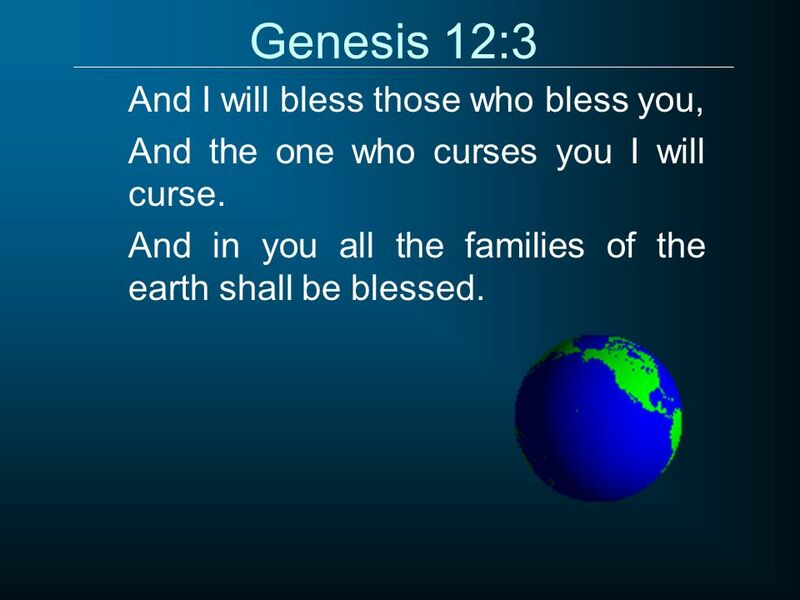 And the one who curses you I will curse. 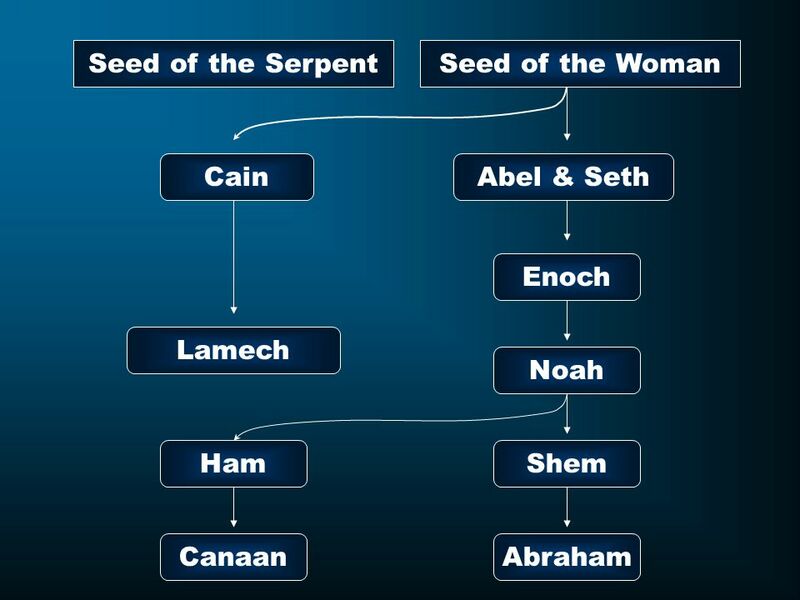 And in you all the families of the earth shall be blessed. 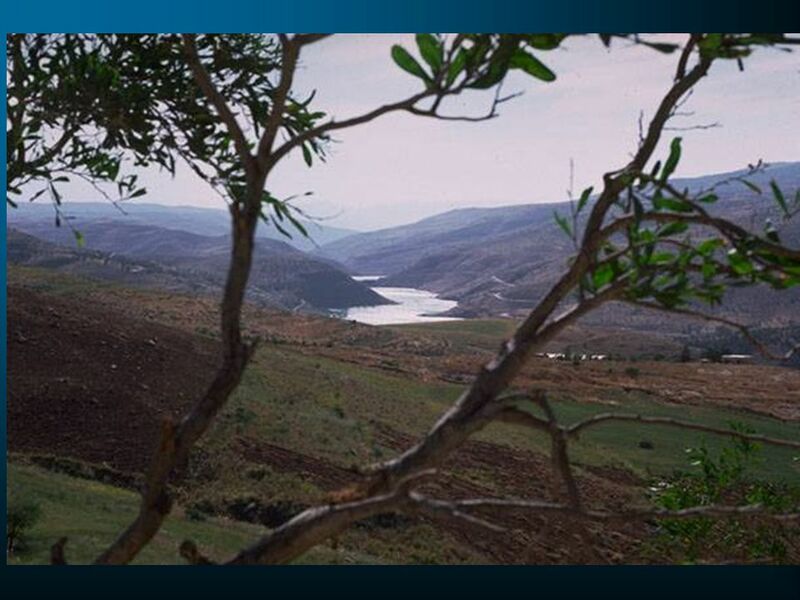 And the LORD appeared to Abram and said, "To your descendants I will give this land." 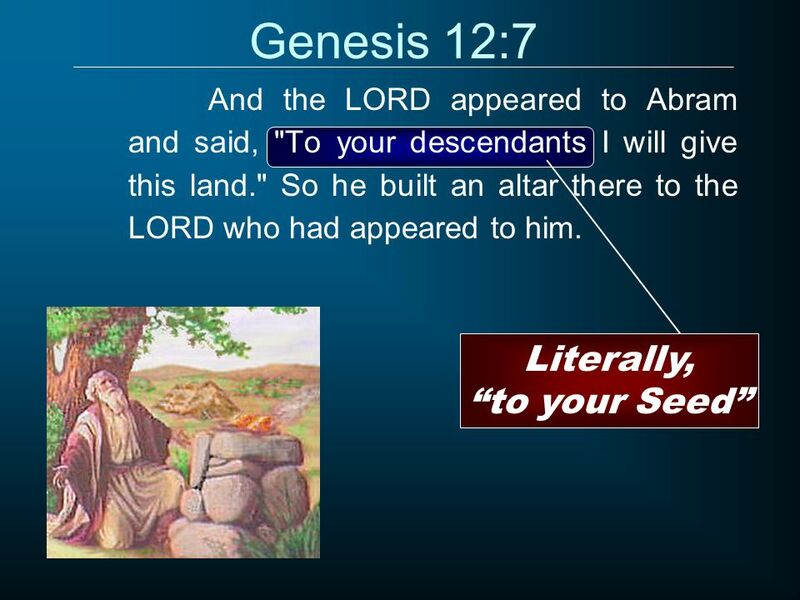 So he built an altar there to the LORD who had appeared to him. 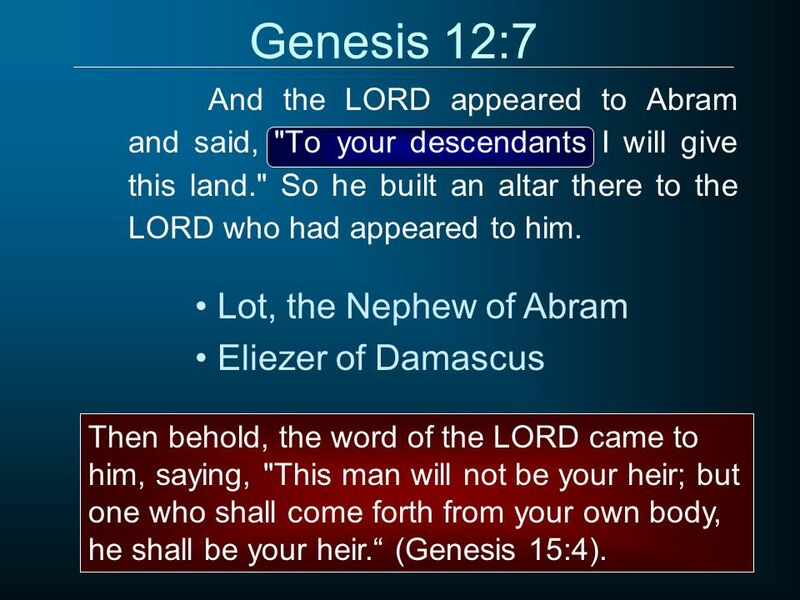 Lot, the Nephew of Abram Eliezer of Damascus Then behold, the word of the LORD came to him, saying, "This man will not be your heir; but one who shall come forth from your own body, he shall be your heir.“ (Genesis 15:4). 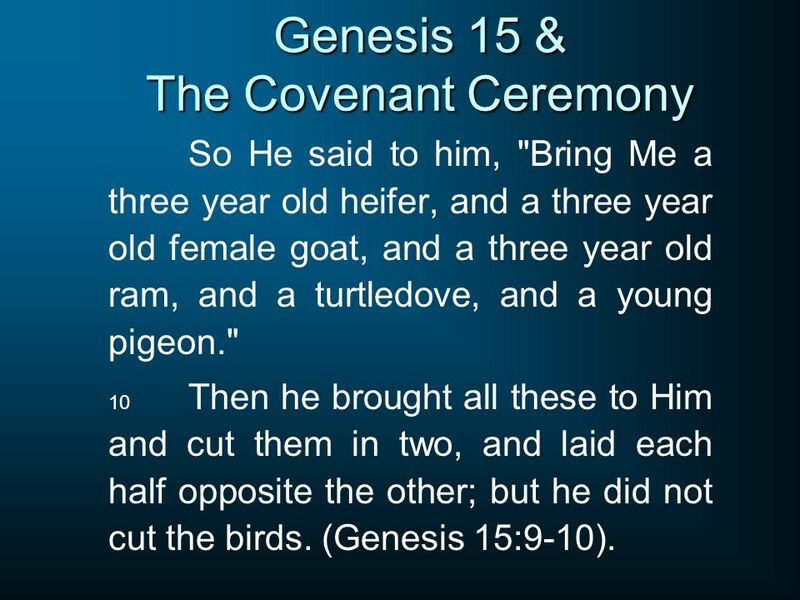 So He said to him, "Bring Me a three year old heifer, and a three year old female goat, and a three year old ram, and a turtledove, and a young pigeon." 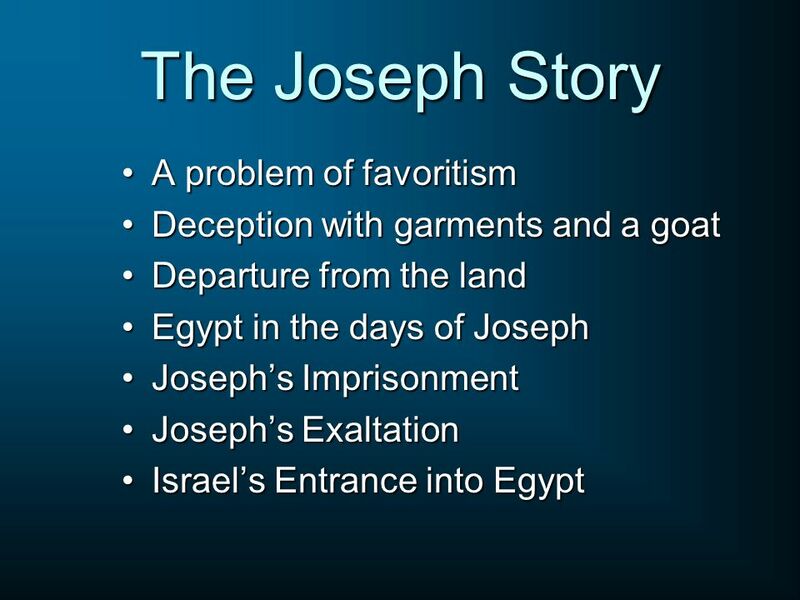 10 Then he brought all these to Him and cut them in two, and laid each half opposite the other; but he did not cut the birds. 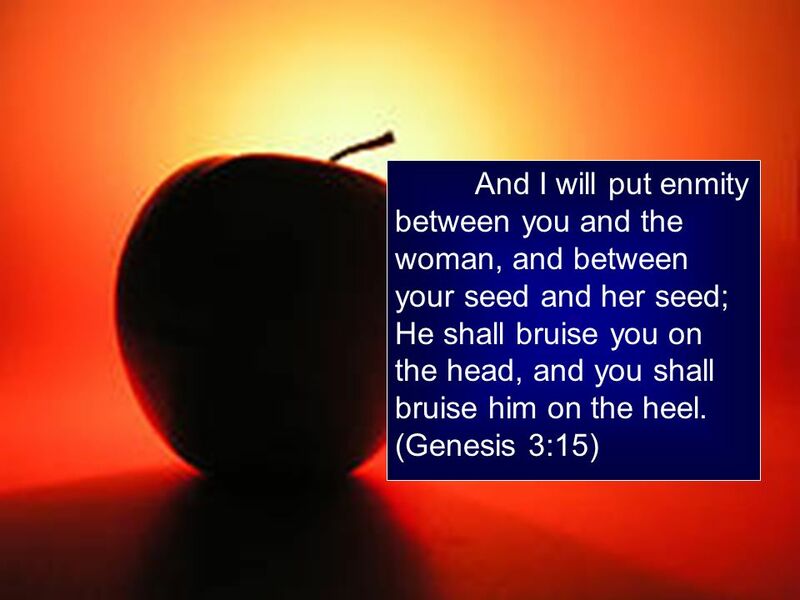 (Genesis 15:9-10). 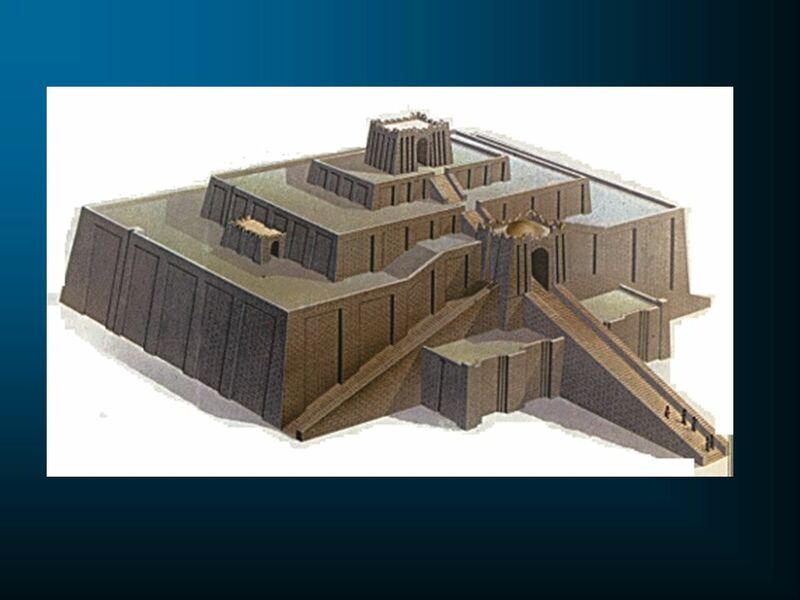 And it came about when the sun had set, that it was very dark, and behold, there appeared a smoking oven and a flaming torch which passed between these pieces. 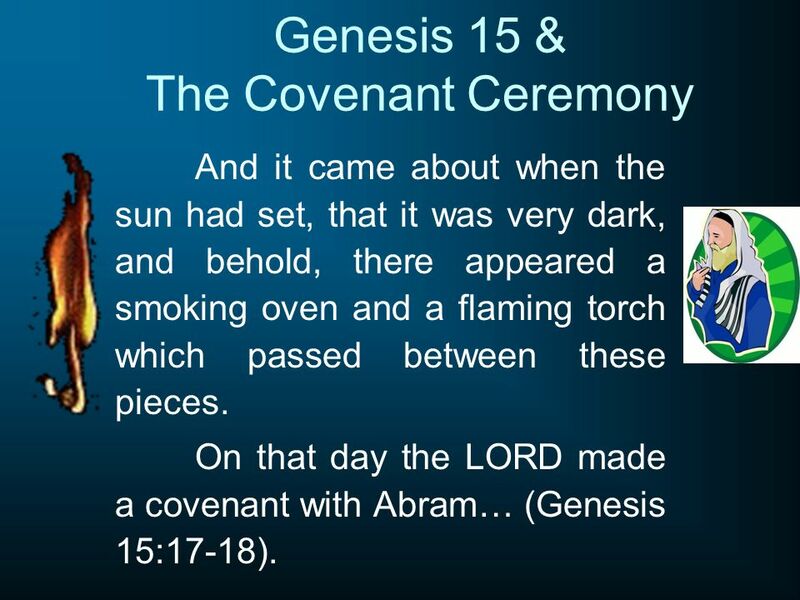 On that day the LORD made a covenant with Abram… (Genesis 15:17-18). 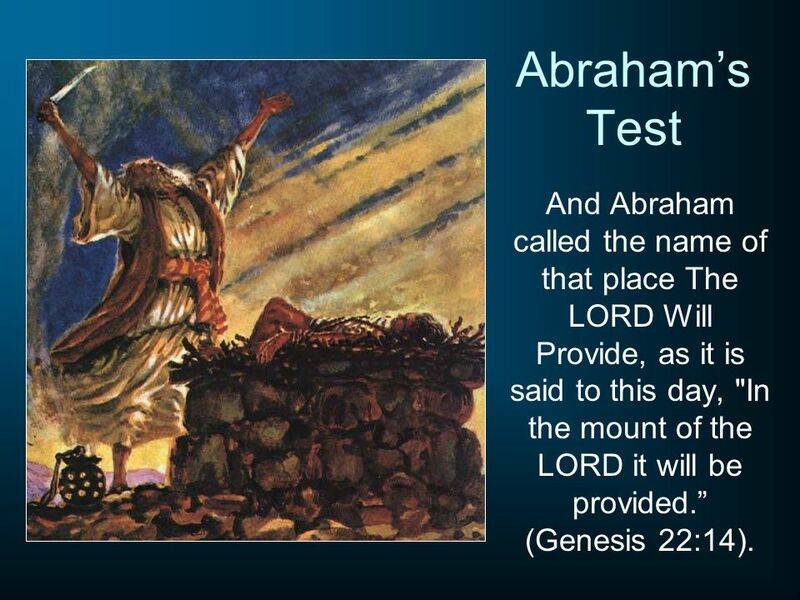 40 Abraham’s Test And Abraham called the name of that place The LORD Will Provide, as it is said to this day, "In the mount of the LORD it will be provided.” (Genesis 22:14). 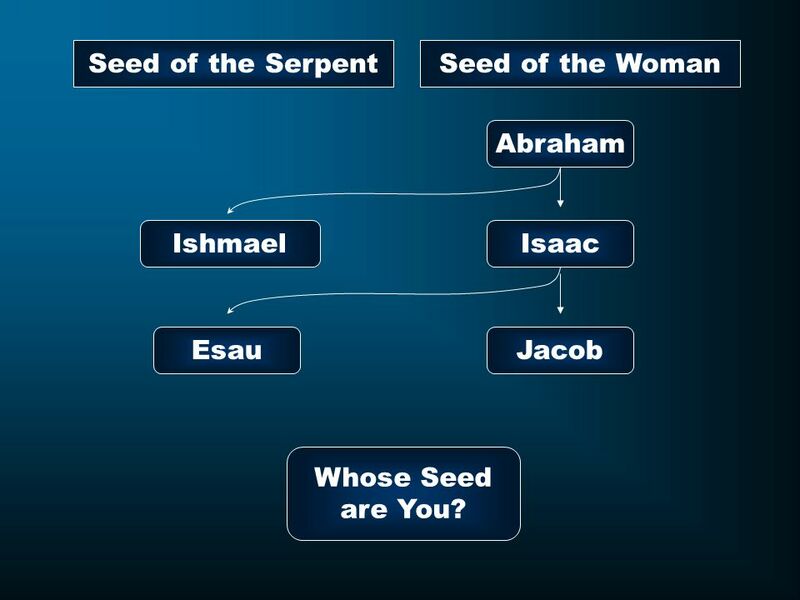 41 Seed of the Serpent Seed of the Woman Abraham Ishmael Isaac Esau Jacob Whose Seed are You? 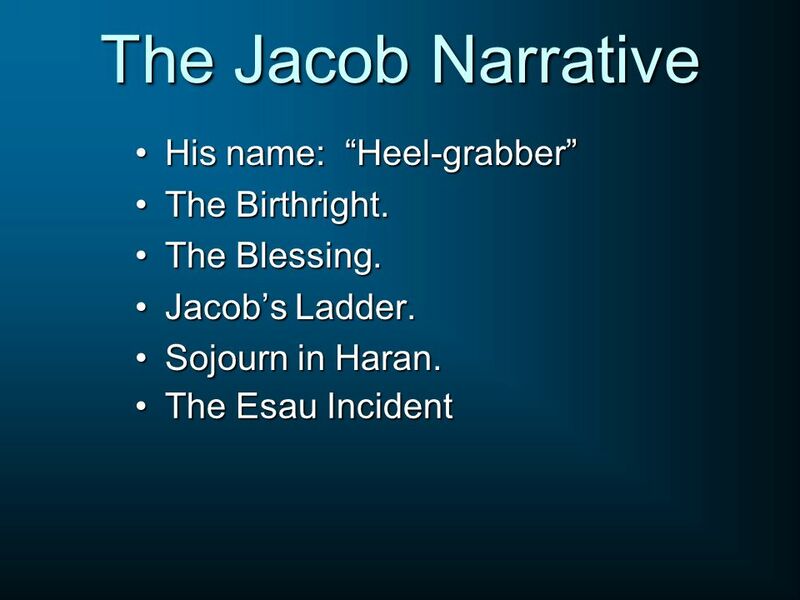 42 The Jacob Narrative His name: “Heel-grabber” The Birthright. 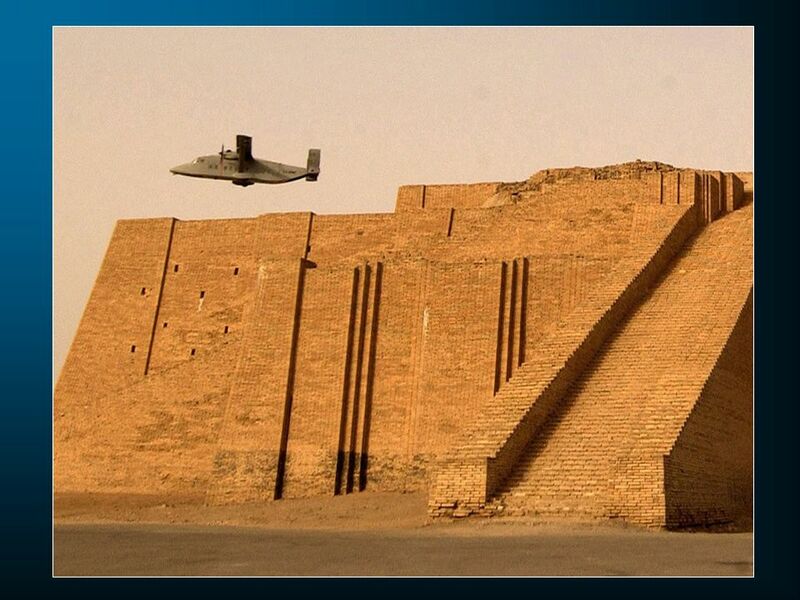 The Blessing. 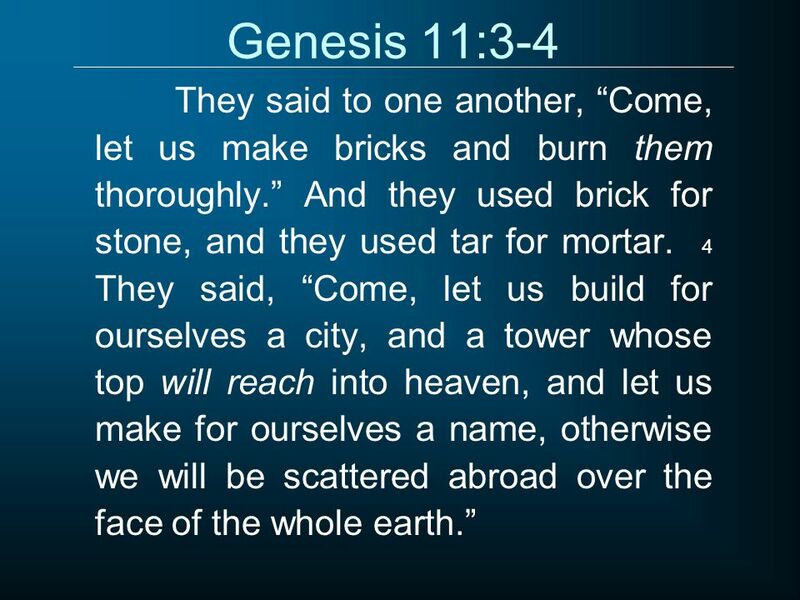 Jacob’s Ladder. 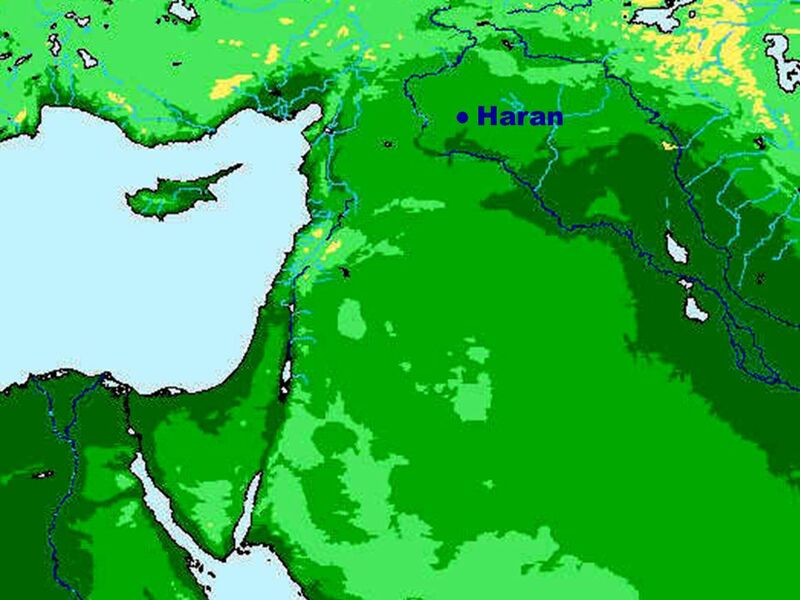 Sojourn in Haran. 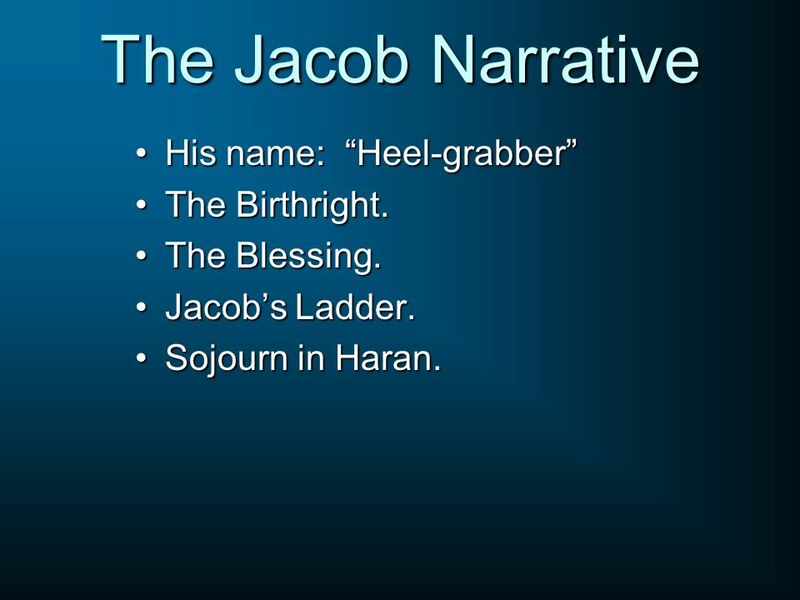 44 The Jacob Narrative His name: “Heel-grabber” The Birthright. 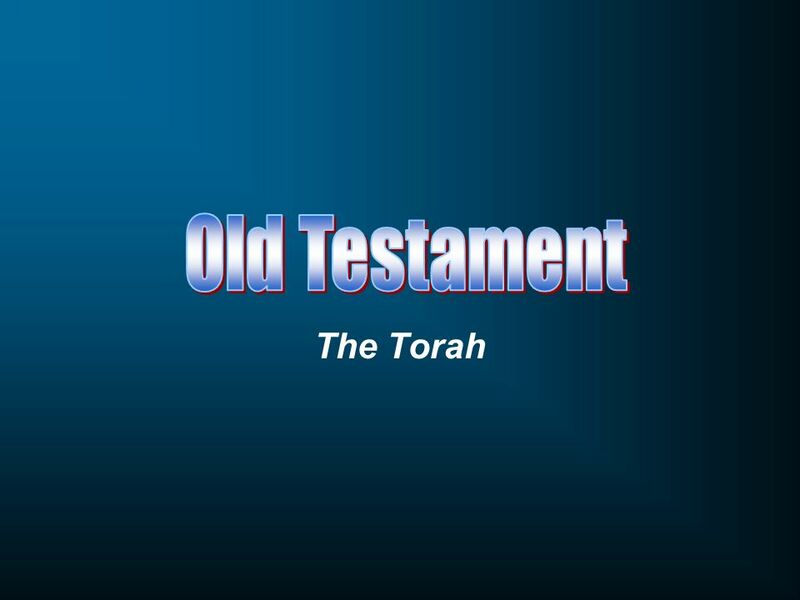 Download ppt "Old Testament The Torah." 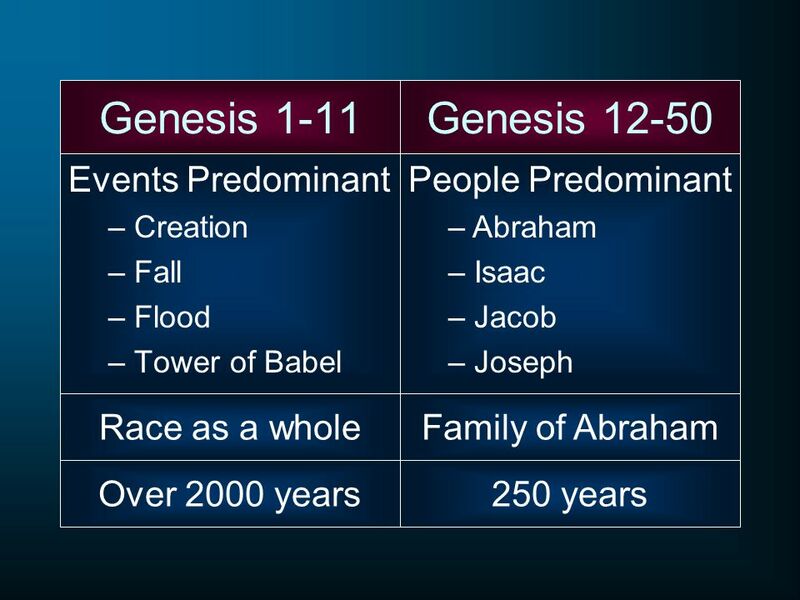 Old Testament Genesis 1-11 © John Stevenson, 2012. 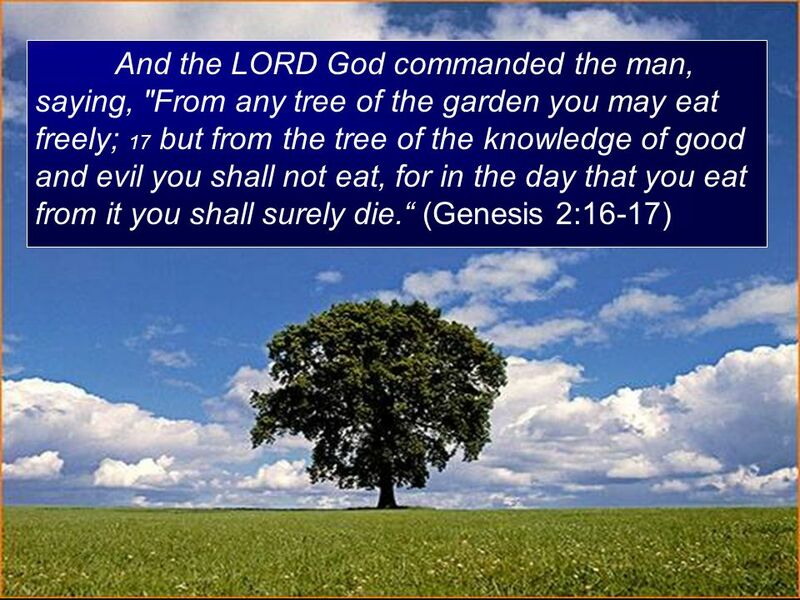 By Paul Gibson University of Louisville BCM 2013. 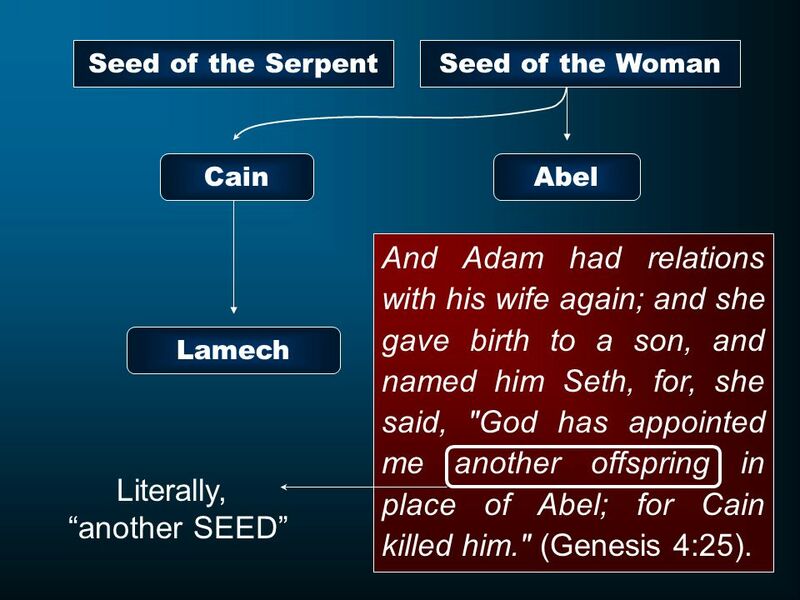 Genesis 15:1-6 After Abraham rescued Lot, God assured him of his protection. 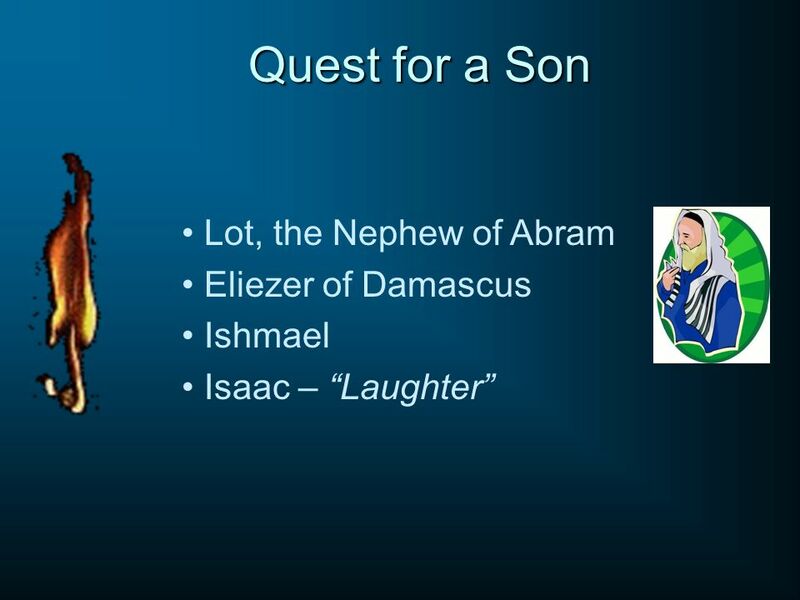 God would be his shield and his great reward. 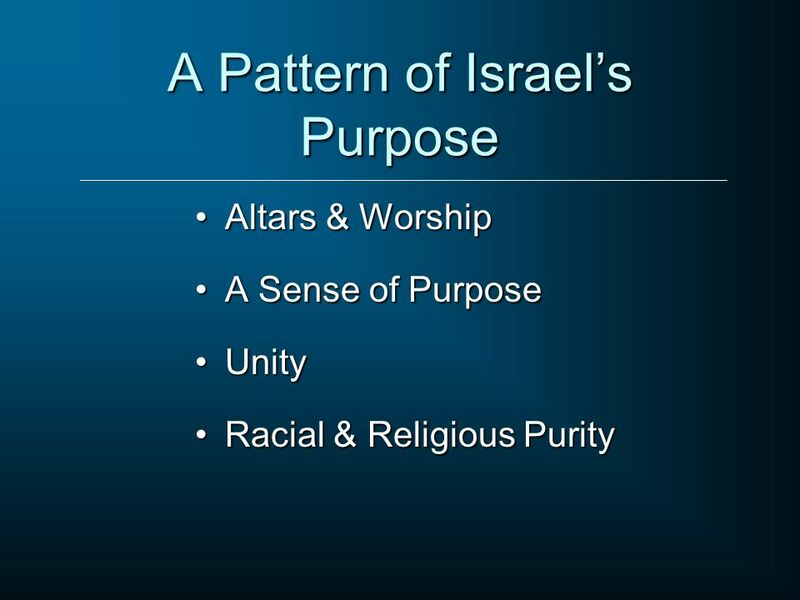 Click for next slide. 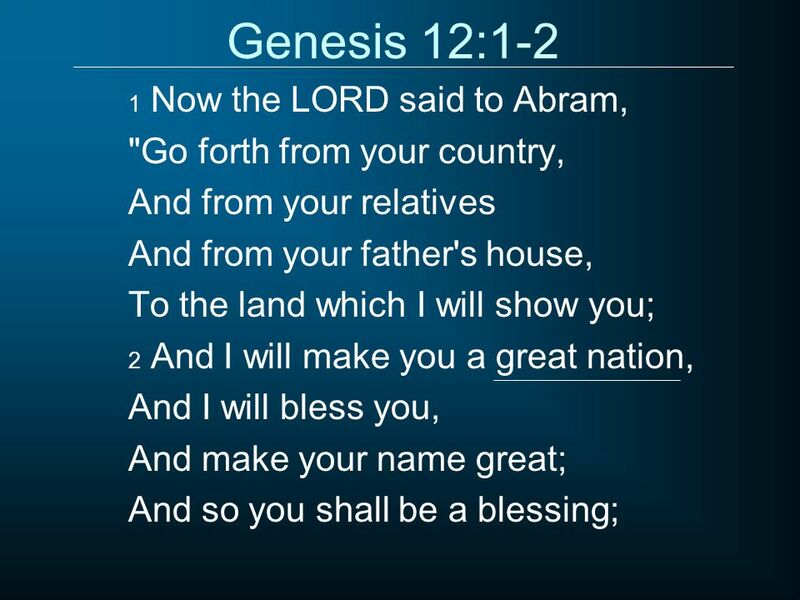 Genesis 12:1-3 (NLT) The Call of Abram 12 The L ORD had said to Abram, “Leave your native country, your relatives, and your father’s family, and go. 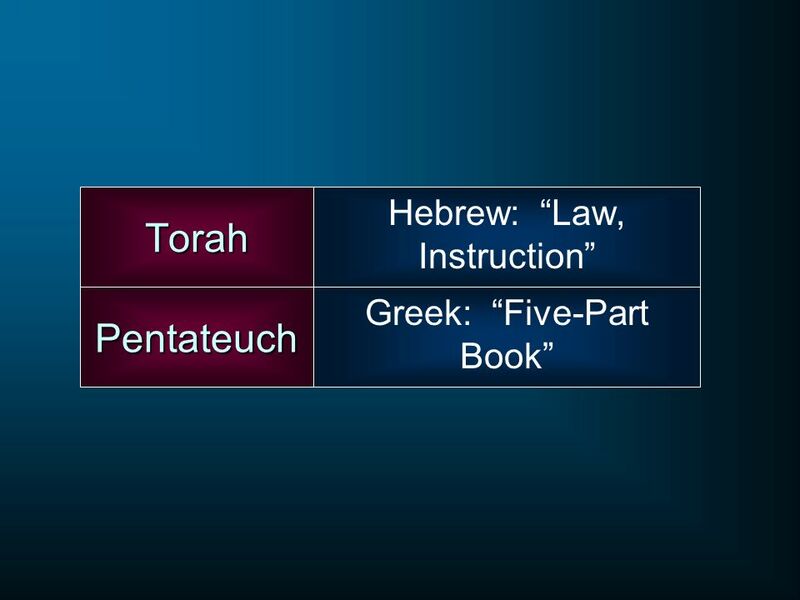 Covenant Lesson 1. 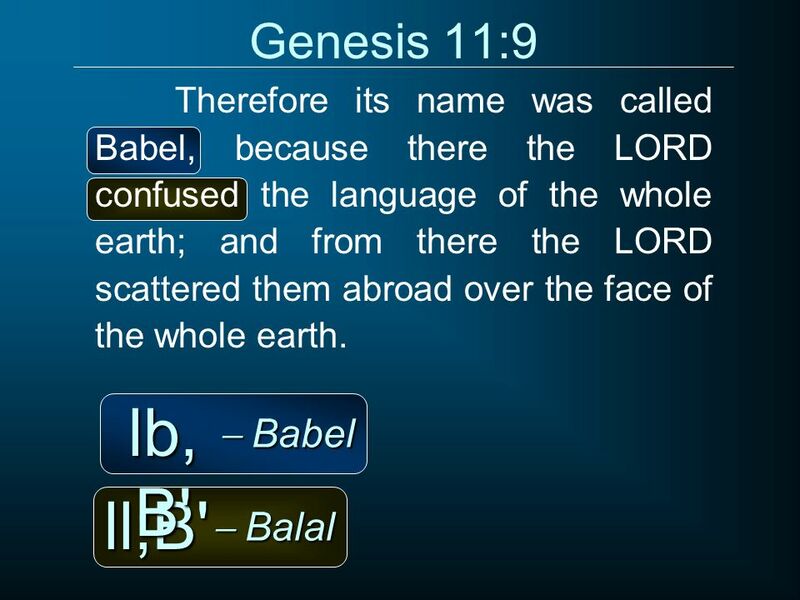 Greek and Hebrew Meanings Hebrew: Beriyth: a pledge or an agreement; a compact that is made by passing between pieces of flesh, a confederacy. 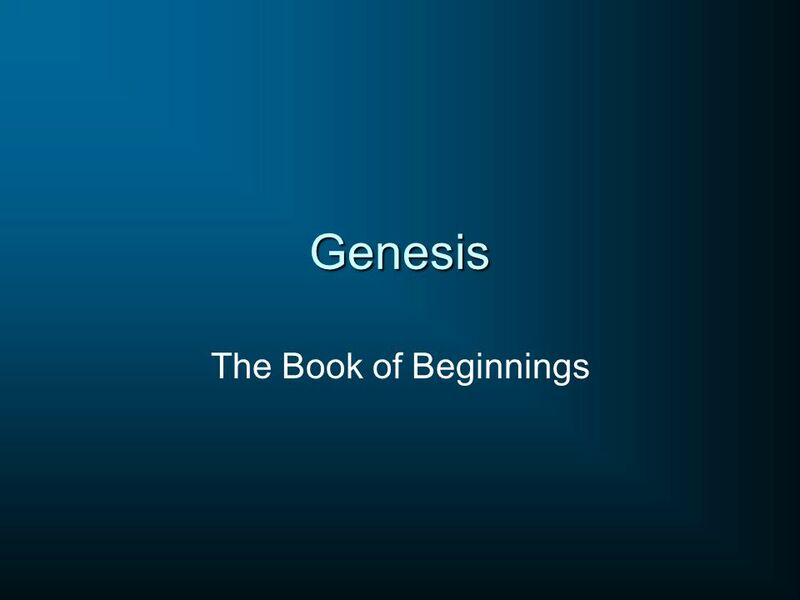 Foundation Book of the Bible Mike Mazzalongo Genesis 30. 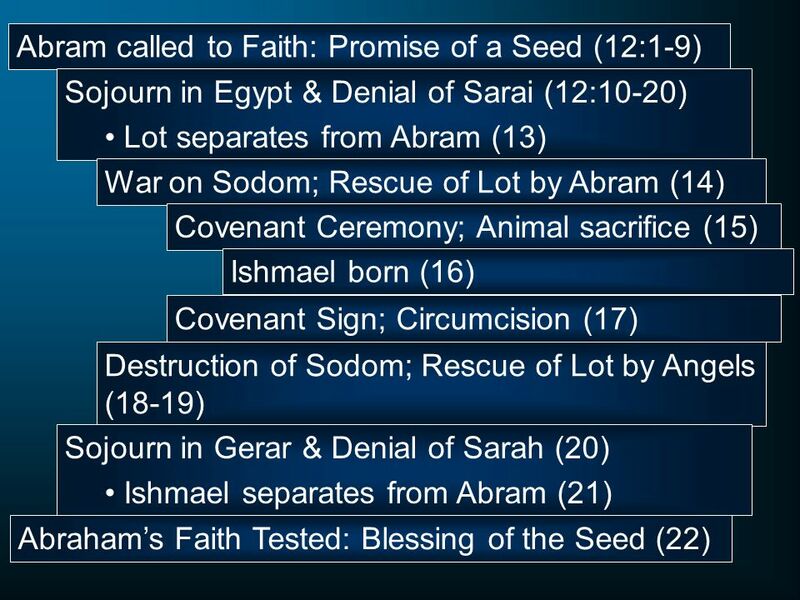 Abram’s Journey of Faith Genesis chapters 15 Genesis chapters The stories of the patriarchs: Abraham, Isaac, Jacob Abram migrated from Haran to Canaan. 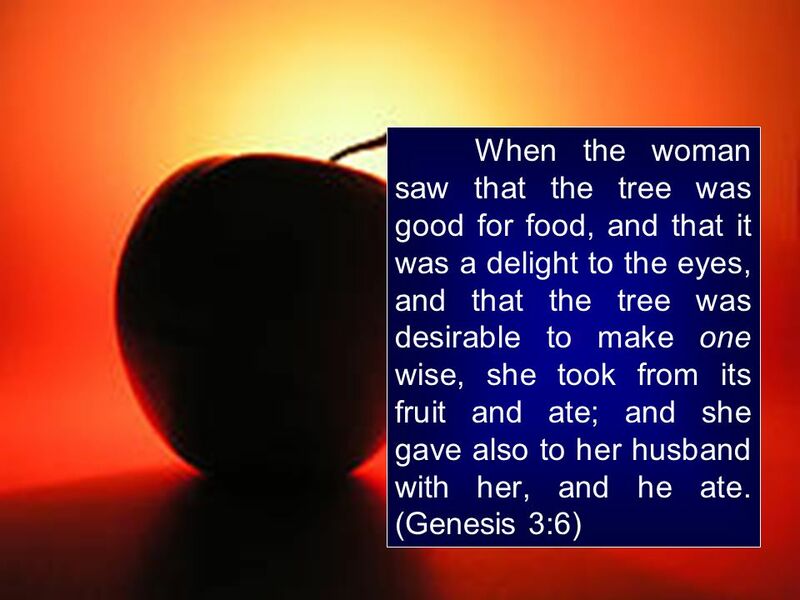 He Gave John 3:16. John 3:16 John 3:16 For God so loved the world that he gave his one and only Son, that whoever believes in him shall not perish but. 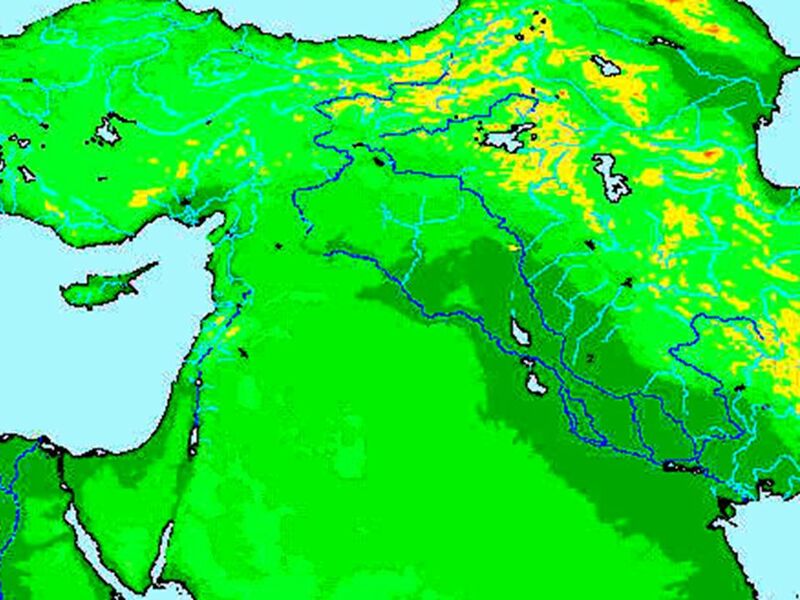 The Chinese Language  Is the oldest, continuous written language in the World  First written over 4,500 years ago  The inventors of the written language. 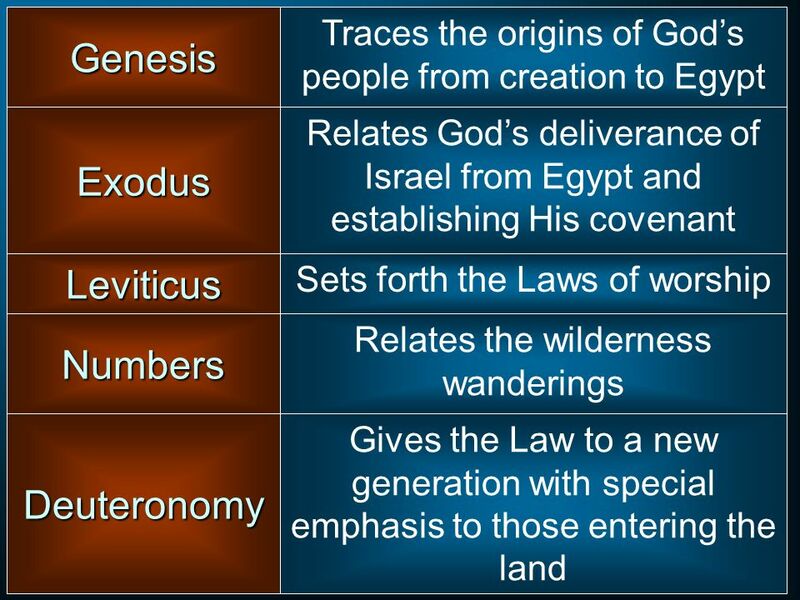 Review Genesis Chapters One - Eight Bible Bowl 2013. 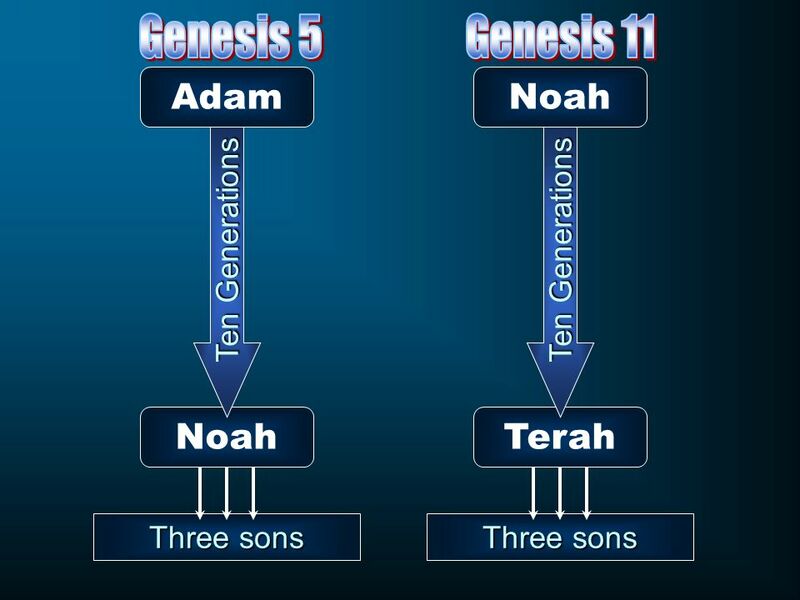 Genesis 2 © John Stevenson, 2009 The Crowning of God’s Creation.